The presidential ambition of Atiku Abubakar, candidate of the Peoples Democratic Party (PDP), received a big boost on Monday when a major pollster, Williams and Associates of Salem, Massachusetts, in the U.S., tipped him to win the February 16 poll. The Economist of London also predicted that the former vice president would defeat incumbent President Muhammadu Buhari. Both predictions are coming two weeks to the 2019 presidential election. The latest forecast is the result of a field work conducted by the pollster, Williams and Associates, details of which were posted on the website of the company: http://www.williamspolls.com/web_documlents/williams___associates_polling_results_jan_2019.pdf. Recall that Williams and Associates had, in a similar field work in 2015, predicted that Buhari would defeat the then sitting President Goodluck Jonathan. Information posted on the website of the company showed that it deployed the same methodology used in the 2015 prediction to conduct the field work for 2019 election. The activity was conducted between January 11 and January 16, 2019 across all the six geopolitical zones of Nigeria. The result of the poll shows that the PDP candidate, Atiku, will win other candidates in the election with 45 percent of the total votes cast, 12 percent higher than his closest opponent, incumbent President Muhammadu Buhari, who got 33 percent. The breakdown of the result is published on the website of the company. According to the poll, 64 percent of respondents disapproved that President Buhari had done his job well enough to deserve re-election. Similarly, the contentious issues that would shape the direction of the election were unemployment, poverty, corruption, insecurity in that order. While responding to a question on whether respondents expected the economic situation next year to get better or worse, a whopping 53 percent were pessimistic on the future of the economy. Also, the polls showed that there was an 11 percent improvement on the number of people who would turn out to vote in the 2019 presidential election, over the turnout for the 2015 election. And 80 percent of the respondents said they had already collected their Permanent Voter Cards (PVCs). 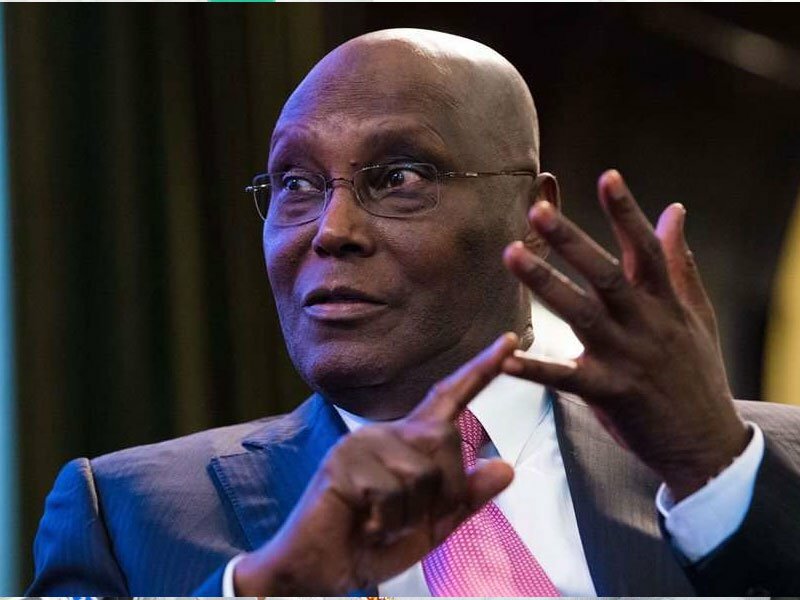 Fifty-four (54) percent of the respondents said that regardless of who they support in the election, Atiku stood a better chance of winning the election compared to 38 percent who believed that incumbent President Buhari would win. The poll sampled 1,550 people who were interviewed in English and appropriate local dialect. The field survey was done under the supervision of Williams and Associates of Salem, Massachusetts. The survey asked questions based on critical issues facing the country including economy, security, corruption, inflation, good governance, lack of access to qualitative education, lack of transportation/good roads and infrastructure, lack of access to constant electricity, Boko Haram/terrorism, lack of housing, lack of good health care, etc, received varying responses based on geopolitical zones. Breakdown by geopolitical zones shows that Buhari is 12 points lower than Goodluck Jonathan prior to his 2015 defeat. On the same question, the president’s approval rating was dismal as 76% from North Central zone rated him low on performance to deserve a second term. Other zones polled indicated North East: 55%; North West: 54%; South East: 71%; South South: 70%, and South West: 64%. Respondents were also asked which of the political parties they would vote in the coming election and the spontaneous response posted was APC, 32%; PDP 42%, others 15%, will not, 11%. The polls figure recorded a 10% differential point between the APC and PDP.